In terms of minority inclusion and outreach, the election of 2012 was a disaster for the Republican Party. Cemented by that infamous “47-percent video,” the GOP message wasn’t selling and minorities weren’t buying. Republicans even lost the once rock-solid Florida Cuban vote. In his book “Why Romney Lost,” former George W. Bush speechwriter David Frum pulls no punches when describing the party’s almost deliberate effort to drive a wedge between their party and minority and lower income voters. Perhaps with this in mind, it was noteworthy that in our conversation with the unlikeliest of all candidates for Governor of Virginia, Tareq Salahi – yes, that Tareq Salahi from the White House State Dinner and Real Housewives of DC fame – made his efforts to embrace minority voters almost a central theme of our recent interview. Salahi has two versions of his website, one in English and one in Spanish. He says he is the first Va. gubernatorial candidate to do so. When we spoke, Salahi was packing to head to the Richmond area to meet with a wide variety of businesses, media and groups including black and Latino community leaders. The Tareq Salahi of the past few years was a mountain of stress, his world seemingly falling apart around him. He lost a father, his wife and the family business. 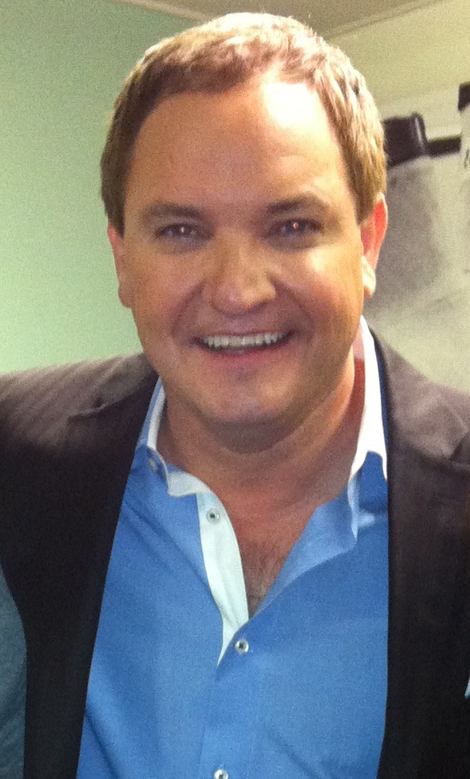 The Tareq Salahi of 2012 seems calmer, more relaxed and focused like a laser beam on the road ahead. It is a refreshing change. But there are two Tareq Salahis. Well times have changed. – So much so that the former Fauquier County winemaker now embraces the term. You can tell by the name of his website: CrashTheVote.com. It is a central theme to his campaign which while unconventional, is surprisingly robust. As for the Crash the Vote moniker, “I’m just having fun with it,” he said. While political candidates often have TV cameras around them, Salahi is often accompanied at events and on the road by entire production crew. “In It To Win It” is the working title of a reality documentary being made for a movie or series to be broadcast sometime after the November, 2013 election. Salahi says he plans to gather at least 20,000 signatures to get on the ballot, twice the number required. While he is running for the Republican nomination and is currently on the road in an effort to line up delegates he says he will be on the ballot in November regardless of whether he wins at the state party convention. In the meantime Salahi says he plans to attend every local Republican meeting where delegates are chosen in the months leading up to the convention. Salahi’s agenda is a vague but populist one that few would oppose: working to promote the Commonwealth of Virginia; promoting business and jobs; promoting troops and defense personnel; promoting the agriculture industry; working for lower taxes and less regulation and promoting clean energy production. In the months ahead, Tareq Salahi the candidate is likely to show up in your town. If you miss the road show you’ll be able to tune in to your TV in 2014 and watch the recap with Tareq Salahi the celebrity. “I’ve spoken often against the threat that I see to all that has made America great. And I’ve addressed many nuts-and-bolts issues that affect our district, including jobs and the budget and healthcare,” first-time political candidate Schmookler began. “Now I want to speak to the vision of the America I am fighting for. “In some ways, it’s the America I grew up in. “I am fighting for an America where government helps create a vibrant middle class—as it did after World War II by providing educational opportunities for veterans and by creating a more level playing field for companies and workers. “I am also fighting for an America where our political leaders come together on the basis of the values we share, liberals and conservatives alike, to achieve our common purposes. “Americans have always been guided by a vision of our best possibilities. “I too support a market economy that maintains fair competition. I share FDR’s concern that average Americans be treated fairly and have the opportunity to better their condition. “ ‘I see an America of great cultural and educational opportunity for all its people,’ ” FDR said. “I agree with FDR that there is no more important investment for a society than developing its people’s potential, and that man does not live by bread alone. “I see an America whose rivers and valleys and lakes – hills and streams and plains … are protected as the rightful heritage of all the people. “Nature is not merely a means to private enrichment but belongs to us all and warrants our protection. • An America where citizens get health care without fear of being bank-rupted. • An America where people –including the most powerful–care as much about doing right as about getting what they want. • An America that honors scientific fact, and where neither corporate powers nor political parties try to deceive people about truths important to their future. • An America where the young are educated to be productive, but also to become more whole human beings. • An America that leads toward a time when horrors like genocide cannot happen, because the world won’t permit it; an America leading humankind into harmony with our planet. “We once had a sense that we were on a path of continual improvement, and determi-nation to strive along that path. I see an America where that is restored. “We should always ask ourselves, “What do we want America to be like generations hence?” and try to find ways to make it so. “As the Bible says (Proverbs 29:18), ‘Where there is no vision, the people perish,’ ” Schmookler concluded. He told me about two months ago he didn’t know if he “had enough time” to turn the traditionally conservative Republican 6th District around – around toward the truth, rather than the expedient political lie so prominent at an estimated cost of $1 billion in political advertising in the post-Citizen United-fueled 2012 Presidential and related campaigns. Alleged White House gatecrasher and Real Housewives of DC star Tareq Salahi will have his entire gubernatorial campaign taped for a reality documentary to air after the November election, according to campaign officials. It is perhaps the first-ever statewide political campaign filmed for an independent reality show. Public taping will begin at a campaign kickoff at Salahi’s Linden, Va. home Sept. 16. The film is tentatively called “In It To Win It” and is being produced by veteran PBS executive John Campbell who now runs his own production company. In a statement Campbell said he approached Salahi about doing the project not out of any political motivation but rather to focus on the human interest element. “Here we have a guy who’s triumphs and tribulations have been aired globally…and he could have easily hidden for a few years…yet he didn’t,” Campbell said. It is his first political film. Campbell’s previous documentaries have focused on a diverse range of topics from U.S. Air Force Thunderbirds to a Canadian folk/rock band to a trip through the Adirondacks in a 1976 motor home. Salahi concedes that one of his motivations to run for governor occurred in April when one of his potential opponents, Va. Attorney General Ken Cuccinelli announced a lawsuit alleging that Salahi’s wine tour company had violated the Virginia Consumer Protection Act, a charge Salahi says he denies. Salahi filed paperwork to enter the Republican primary the next day. Salahi’s spokesman Eric Miller “took a shot at Cuccinelli” in a statement to CNN, saying the attorney general had wasted “huge sums of taxpayer dollars on witch hunt type investigations,” including the lawsuit. Salahi says he plans to announce major pillars of his campaign platform at the BBQ kickoff but says that a large focus will be on supporting the military, both as an economic force in the state and of course the troops as well as boosting Virginia’s small businesses including the agriculture industry and the economy in general. Salahi’s family has decades of experience in the wine trade. Salahi currently has two co-managers for the campaign, one of whom is a former DoD staffer, Mark Vargas and the other a former White House staffer during the Reagan administration, Andrea Ross. Ross said the filmmakers aren’t paying for any of the campaign expenses and that royalties to Salahi, if any, will likely come after the election when the movie will air on an unnamed national television network or cable channel. Ross says for now they are focused on the kickoff event. “We are all looking forward to having people in the local community be a part of this. Anyone in the local community. There is going to be a national television show and they are a part of what we booted a king out to be able to do,” she said. RICHMOND – Facing mounting criticism and increased national attention for a spate of legislative initiatives of a social nature, House Republicans say they’re still focused on jobs, education, government reform and public safety – and dispute Democratic charges that they’re pushing a “social issues” agenda – even though by their own count less than half their bills this session deal with economic, public safety, public education and governmental reform. Members of the House Republican Caucus discussed their priorities after “crossover day,” the mid-February, mid-session deadline for each legislative chamber to act on its own bills. Democrats have accused Republicans of being obsessed with social issues such as restricting abortion and gay rights and expanding gun rights. They point to measures such as House Bill 1, which would grant “personhood” rights to a fertilized egg at the moment of conception. Some critics say HB 1 could outlaw abortion and even some contraceptive methods, but the bill’s proponents disagree. At a press conference Wednesday, House Republicans acknowledged that bills involving social issues have received a lot of press coverage and commentary. But they said those bills are a small – albeit far reaching for individual freedoms – part of the GOP agenda. “I think the proof in the pudding is in the fact that less than 2.5 percent of bills introduced by Republicans have been social issues,” Howell said. 42.3 percent concerned education, government reform, public safety and jobs. 12.3 percent involved judicial issues. 10.8 percent address local matters. And the rest concerned transportation, energy, the environment, health care, veterans and other issues. One of the education-related bills would end the tenure-like system for public school teachers. Under House Bill 576, new teachers and principals would receive three-year contracts instead of continuing contracts – making it easier to fire poor performers. “It’s going to be a good thing for good teachers, and bad teachers may find that the profession is not for them,” said Delegate Richard Bell, R-Staunton, who sponsored HB 576. In the Senate, Republicans also touted their record this session. Of the 684 Senate bills, 403 were approved by the upper chamber by crossover, the Virginia Senate Republican Caucus said. “Our members should be proud of what we have accomplished so far this session,” said Senate Majority Leader Thomas Norment of Williamsburg. The Senate approved several components of Gov. Bob McDonnell’s agenda, including his call to reduce and streamline the state’s boards and commissions. It also passed measures aimed at spurring economic development and creating jobs. “The wide range of bills that were considered and approved is particularly impressive,” said Sen. Ryan McDougle of Mechanicsville, who chairs the Senate Republican Caucus. Each house now will take up legislation passed by the other chamber. Moreover, the General Assembly must turn its attention to crafting a state budget for the 2012-14 biennium. The session is scheduled to end March 10. RICHMOND – Local jails and regional prisons in Virginia can continue to shackle female inmates during childbirth – a practice that Delegate Patrick Hope, D-Arlington, says is appalling. Hope sponsored a bill this legislative session to prohibit the shackling of women prisoners while in labor or giving birth. However, the bill is dead for this session after failing to make it out of a subcommittee last week. But Hope isn’t giving up on getting correctional facilities to stop the practice. “Having been the father of three girls, I couldn’t understand why they felt the need to do that,” he said. Katherine Greenier of the Virginia ACLU said the health risks posed by shackled delivery are well documented. “Pregnancy can create problems with balance that are exacerbated by shackling,” said Greenier, whose Patricia M. Arnold Women’s Rights Project lobbied extensively for House Bill 836 before its demise. Ramey Connelly said she finds the practice abhorrent regardless of the health risks. “I … believe that shackling women during labor is a violation of the right to be free from inhuman or degrading treatment, as set forth in the Universal Declaration of Human Rights,” said Connelly, a women’s rights activist in Richmond. The Virginia ACLU was joined in lobbying for the bill by several women’s rights and prison reform groups. The ACLU, which is known for supporting liberal causes, also found an unlikely ally: the Family Foundation of Virginia, which ordinarily supports conservative and religious causes. Hope said it was natural for his bill to attract support from groups with different political views. “If a woman wants to have a pregnancy, and she wants it to be carried out, then we need to make sure that it’s carried out in a safe and healthy manner. That’s why [pro-choice groups] are at the table,” Hope said. HB 836 had been assigned to the House Militia, Police and Public Safety Committee. On Feb. 9, a subcommittee of that panel tabled the bill. As a result, the full House of Delegates did not have an opportunity to act on the measure. Any bill that did not clear its house of origin by Tuesday was declared dead for the session. Hope said he plans to reintroduce the issue next session. In the meantime, he said, he is exploring non-legislative ways of achieving the same goal. Connelly said it was encouraging to hear the issue raised in the first place. “It is always beneficial to keep the conversation going. That is one of the many tragedies of the ‘correctional’ system – that the people within them are locked away and essentially forgotten,” she said. RICHMOND – More than 1,000 people turned out at the Capitol on Jan. 20th to silently protest a wave of legislation that they claim undermines women’s reproductive rights. The demonstration focused largely on two measures: House Bill 1, which would give the legal status of a human being to a fertilized egg, and HB 462, which would require a trans-vaginal ultrasound before undergoing an abortion. Both bills have passed the House of Delegates and are being considered by the Senate Education and Health Committee. “We want the state legislators to know that we are angry, and we will not stand idly by as our rights to privacy and access to health care are eroded; we will not be told we do not know what is best for us, or that access to care should be limited to those who can pay,” said Sarah Okolita, who helped organize the event. Another organizer, Jordan Romeo, a global studies and international social justice major at VCU, said he hoped the rally would send a message to the General Assembly. “We have been telling people to contact their legislators, to call their legislators, to write emails, to be a presence at the Capitol as much as possible,” Romeo said. Eileen Davis, a health care provider, said that the wording of HB 1 had potentially dangerous ramifications. “The law of unintended consequences is all over this bill,” Davis said. “Women who have to take birth control or have a barrier method such as an IUD because they’re on cancer treatment, according to this bill, would be breaking the law. Virginia would become the first state in the nation to approve “personhood” at conception. Mississippi and one other state rejected such legislation in voter referendums in recent years. The demonstration began at 11 a.m. as participants silently lined the walkways on the Capitol grounds and linked arms. Around 12:30 p.m., the protesters dispersed before reassembling at the Bell Tower for a rally. The rally’s featured speakers included various legislators, as well as activists such as Ramey Connelly of the Richmond Reproductive Freedom Project and Victoria Bragunier of the Richmond chapter of the National Organization for Women. Participants and organizers said they were pleased with the turnout for the demonstration, particularly after Sunday’s snow. Romeo said the size of the crowd reflected how strongly people feel about the issues. RICHMOND – In yet another bill that divided Republicans and Democrats down the aisle, on Feb. 17th the Virginia Senate passed legislation to provide tax credits for individuals and businesses that fund scholarships for low and middle-income students to attend parochial and private schools. Senate Bill 131, sponsored by Sen. William Stanley, R-Moneta, would provide a 65 percent tax credit for individuals and corporations that donate money for such scholarships. The state would cap the total tax credits at $25 million per year. Sen. Mark Obenshain, R-26th, sponsored a bill capping the tax credits at $50 million. SB 131 was debated on the Senate floor for nearly an hour. Then all 20 Republican senators voted for it; all 20 Democrats voted against it. The bill passed when Lt. Gov. Bill Bolling, a Republican, cast the tie-breaking vote. Proponents of such “school choice” legislation assert that it would give students access to a quality of education that their families otherwise could not afford. The tax credit program would fund about 7,300 private-school scholarships, according to an analysis of SB 131. The bill would establish “Education Improvement Scholarships Tax Credits.” These credits would go to taxpayers “making monetary donations to scholarship foundations” approved by the Virginia Department of Education. Senate Democrats condemned the bill, saying it amounted to taxpayer subsidies for religious schools and a violation of the principle of separation of church and state. Sen. Janet Howell, D-Reston, said SB 131 would undermine the public school system. “I think if you were to look at any history of this county … the reason why people have been lifted out of poverty is the public school system,” Howell said. She said the bill is part of an effort by Republicans to sap resources from public education. Sen. Creigh Deeds, D-Charlottesville, expressed similar sentiments. Gov. Bob McDonnell has long been a proponent of such legislation. The Republican governor, who headlined a rally for “school choice” earlier in the month, praised the vote. “Virginia students deserve a world-class education regardless of their ZIP code and socio-economic status. Public and private-sector entities must come together to provide every possible opportunity for students to get the education they need to fill the good jobs available in the 21st century,” McDonnell said in a statement following the vote. SB 131 is the latest in a series of bills this session concerning hot-button issues for social conservatives; others include abortion, voter identification and drug testing for welfare recipients. This was the 10th tie-breaker Bolling has cast. On Tuesday, the House passed its own bill providing tax credits for private-school scholarships. The 64-35 vote also was along party lines. Under the House legislation, corporations would receive a tax credit equal to 70 percent of their donations to the scholarships. YEAS – Black, Blevins, Carrico, Garrett, Hanger, Martin, McDougle, McWaters, Newman, Norment, Obenshain, Reeves, Ruff, Smith, Stanley, Stosch, Stuart, Vogel, Wagner, Watkins – 20. NAYS – Barker, Colgan, Deeds, Ebbin, Edwards, Favola, Herring, Howell, Locke, Lucas, Marsden, Marsh, McEachin, Miller, J.C., Miller, Y.B., Northam, Petersen, Puckett, Puller, Saslaw – 20. 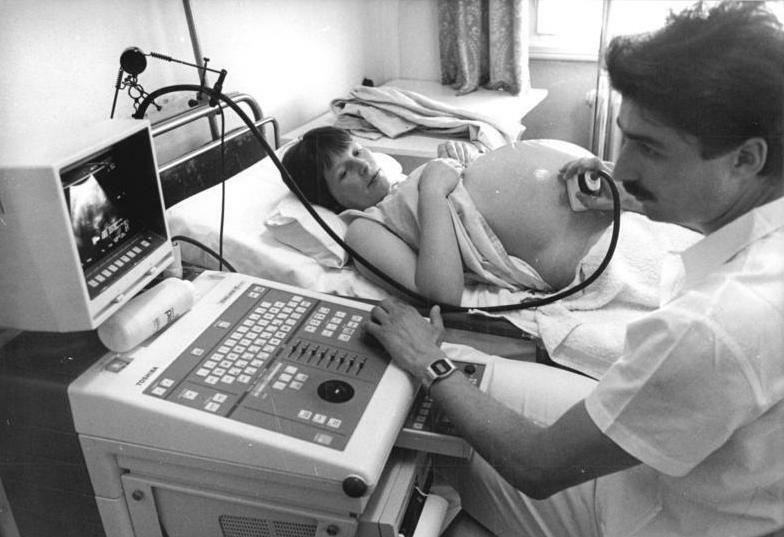 A pregnant woman, who is expecting twins, at the Women's Clinic of Leipzig's Karl Marx University. Before the birth, specialist Dr. Renaldo Faber and his colleagues used the Doppler ultrasound method to check the red blood cells in mother and child. The hospital has a perinatal center specializing in the care of premature babies (including twins and multiple births). On Feb. 22nd Governor Bob McDonnell urged caution and a revisiting of mandatory ultrasound legislation (SB 484) proposed in this legislative session of the Virginia General Assembly. Legislation on the table mandates intrusive, internal, physical procedures invading a woman’s body to assure she can see medical imaging of her fetus prior to a decision on abortion. The governor qualified his statement by asserting his “pro-life” political and moral leanings. However, he also addressed growing concerns that legislation championed by fellow Republicans in this session crossed personal boundaries not justified by medical necessity (nor dare we suggest, legislative authority). “Over the past days I have discussed the specific language of the proposed legislation with other governors, physicians, attorneys, legislators, advocacy groups, and citizens. It is apparent that several amendments to the proposed legislation are needed to address various medical and legal issues which have arisen. “It is clear that in the majority of cases, a routine external, transabdominal ultrasound is sufficient to meet the bills stated purpose, that is, to determine gestational age. “I have come to understand that the medical practice and standard of care currently guide physicians to use other procedures to find the gestational age of the child, when abdominal ultrasounds cannot do so. Determining gestational age is essential for legal reasons, to know the trimester of the pregnancy in order to comply with the law, and for medical reasons as well. “Thus, having looked at the current proposal, I believe there is no need to direct by statute that further invasive ultrasound procedures be done. Mandating an invasive procedure in order to give informed consent is not a proper role for the state. No person should be directed to undergo an invasive procedure by the state, without their consent, as a precondition to another medical procedure. “For this reason, I have recommended to the General Assembly a series of amendments to this bill. I am requesting that the General Assembly amend this bill to explicitly state that no woman in Virginia will have to undergo a transvaginal ultrasound involuntarily. “I am asking the General Assembly to state in this legislation that only a transabdominal, or external, ultrasound will be required to satisfy the requirements to determine gestational age. Should a doctor determine that another form of ultrasound may be necessary to provide the necessary images and information that will be an issue for the doctor and the patient. The government will have no role in that medical decision.